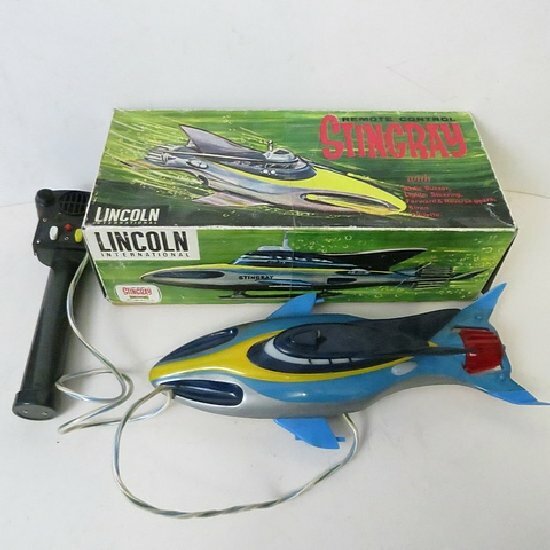 Lincoln International Stingray remote control plastic battery-powered model with forward or reverse motion, interior lights, whistle and siren. 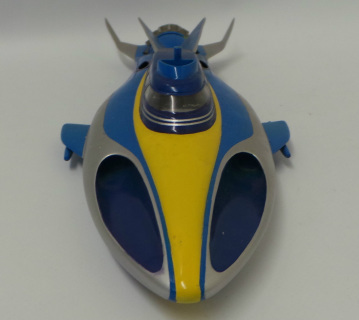 Made in 1964 in Hong Kong. Stingray is complete and is in lovely condition for its age - Battery Holder Securing Plate Slight Broken piece but still holds batteries. Lights & Alarm & rear Movement - No forward movement - Needs Slight Attention!! Airfix Stingray Kit (Built DispLay Model). Mail Order Kit 1965 & came in a plain brown box. 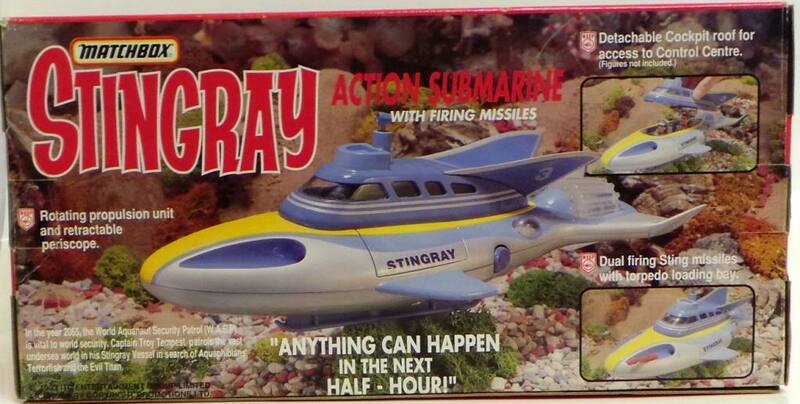 Mail order only by sending Sea Jet Lolly Wrappers & 6 Shillings. One of the Rarest models in the World! Built to a Good Standard. Box Edging shows some sign of wear. 2.5" (TF)/3" (SR). Die-cast metal. 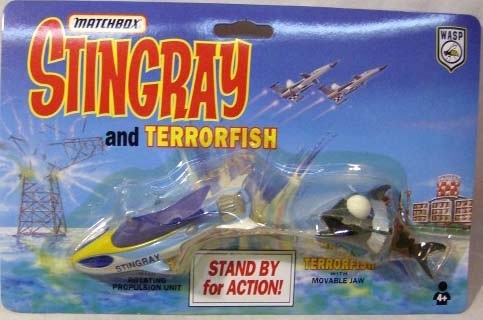 Issued in 1992 this carded blister pack includes a Terror Fish with moveable jaw and Stingray with rotating Ratemaster. 4" tall. Plastic. 1992 posable action figure of W.A.S.P. Captain Troy Tempest. 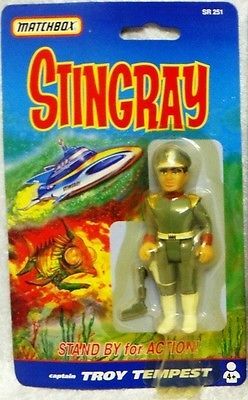 Comes with pistol. 4" tall. Plastic. 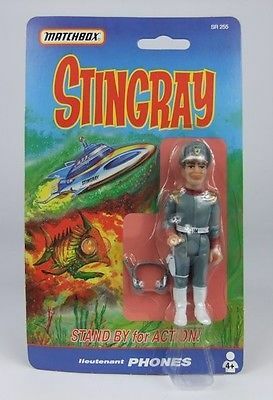 1992 poseable action figure of Lieutenenat Phones complete with his trademark headset. ​Slight creasing on backing card but figure sealed. 4" tall. Plastic. 1992 paoseable figure of W.A.S.P. 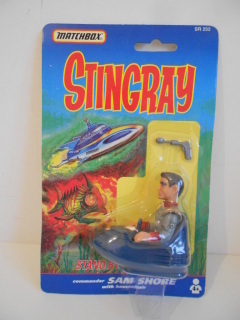 Commander Sam Shore seated in his hover chair. Comes with pistol. 4" tall. Plastic. 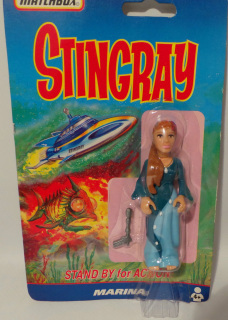 1992 poseable action figure of Marina, 19 year old daughter of the ruler of Pacifica, who uses her telepathic powers to protect Troy Tempest, her rescuer and love of her life.